Paint your own farm set combines crafting and role play. Paint and customize 6 different farm animals, then add accessories for role play. 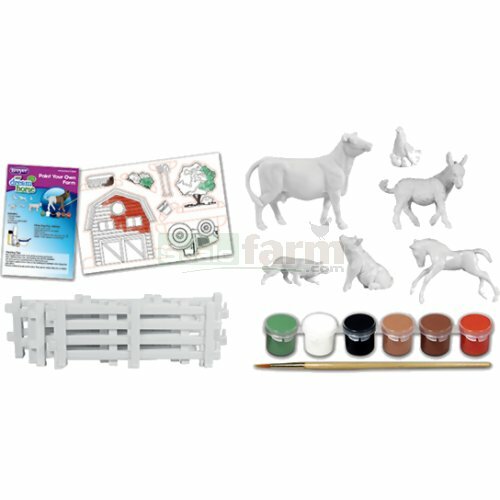 Set includes: foal, cow, pig, hen with chicks, donkey, dog, 6 pieces of fencing, pop-up sheet of accessories, paintbrush, and 6 pots of paints.